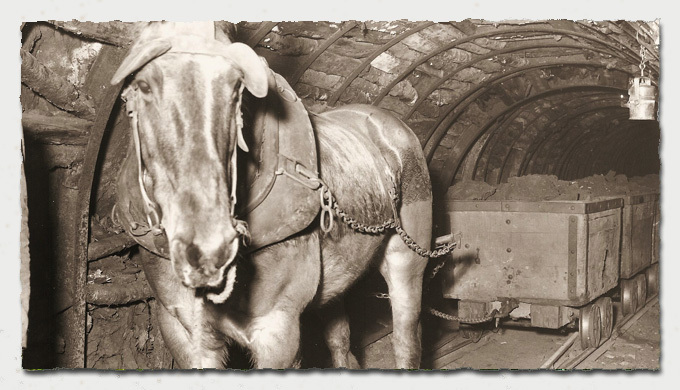 There are no reliable records of deaths which occurred in the mining industry prior to 1850. Thereafter the records have been extensively catalogued and my research has uncovered some 61 men and boys who died in the three Garforth Pits: Sisters, Isabella and Trench, between 1849 and the closure of the pits in the 1920's. Fortunately no disasters occurred on the scale of the pit disaster at Micklefield (Peckfield) in April 1896 when 63 miners died as a result of an explosion caused by firedamp. Notes: He was leading a pony which was drawing 3 tubs loaded with rails. He stumbled and fell in front of the tubs and the first one ran over him and crushed him against some pipes on the side of the road. I have to say on reading this last entry, where the victim was a fifteen year old boy, we don't know how lucky we are, basking in our post industrial world! There are sixty one names in the listing above, the majority of deaths occurring during the long tenure of Colonel Frederick Trench-Gascoigne from 1850 following his marriage to Isabella until his death in 1905. I've often wondered how he felt about the toll of deaths of his miners, fifty men and boys on your conscience regardless of the circumstances, could be the basis for a troubled mind. Fortunately nothing as devastating as the Peckfield disaster at Micklefield befell the Gascoigne mines. The full extent of the mines and the railway that served them, and Aberford, is detailed in an excellent book by Graham Hudson, sadly no longer in print. Title: The Aberford Railway and the history of the Garforth Collieries published by David & Charles. Pictures from earlier versions of the site are denoted by the left border effect.